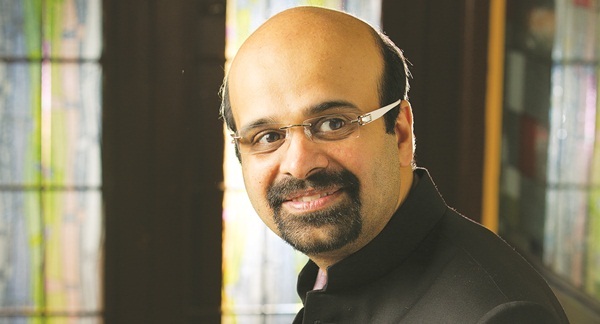 CITY-BASED pianist-composer Anil Srinivasan, has always been on a crusade of sorts to establish that the piano is not exclusive to Western classical music. Right from his various performances in the city over the years to his recent show at Stein Auditorium in New Delhi, Srinivasan has charmed and surprised audiences with his rendering of Beethoven alongside vintage Tamil strains and Bollywood tunes. Staying true to that ideology, Touch, his recently launched 14th artiste album, hopes to instill an Indian piano tradition amongst the nationa��s music lovers. Launched on iTunes five days ago, the album is a celebration of sorts for the pianist. a�?It is the first album of its kind to capture its applicability across the classical, contemporary and jazz contexts,a�? says Srinivasan. A�He goes on to explain that it uses themes, that are purely Indian in character, like classical raga motifs, works of Indian composers, regional poetry-inspired renditions and even influences from film music. While the composer played all 45 minutes of it himself, the record is also a collaboration of sorts. It features guest artistes including blues guitarist Randy Bernsen, flautist Rakesh Chaurasia, pianist Sharik Hasan and mandolin player U Rajesh, amongst others, all of whom lend their unique touch to this seven-track release which effortlessly traverses genres on tunes like Morning Mist(carnatic), Reflections (jazz) and Vaishnava Janato (hindustani). a�?One of the biggest challenges for me, while creating the album, was Streets of Madras (a dappankoothu song). It was a risky move but I feel it is an interesting punctuation in the Indian piano history,a�? claims the 38-year-old, adding, a�?I am very pleased with the album, as Ia��ve played my heart out and it is now receiving airplay on popular radio stations including BBCa��s Asian Network.a�? With plans to release physical CDs on online portals like Flipkart (next month) and a global album tour already in motion, the pianist is poised to take his music to Vienna, Singapore and Manila in the coming weeks. Available on apple.itunes.com at `328.